Little Rock When these horrific reports of school lunch shaming began getting public attention, my first reaction was to talk to our school worker organizers in Dallas and Houston to make sure our cafeteria workers were not involved in any such practices. HISD and DISD both seem to have policies that prevent children from being shamed when their parents are unable to pay for school lunches which was a relief. It was so, not just because that meant children – and their parents – were being treated with some kind of respect and dignity regardless of finances, but also because our union representing cafeteria workers in these two giant school districts would have been horrified if we found that our members had been put in such terrible positions and somehow the issue had slipped by us. In Little Rock where we have been active on various levels in the school issues, for all of the other problems in the district with the state takeover and one thing or another, in this area their policies seem solid. 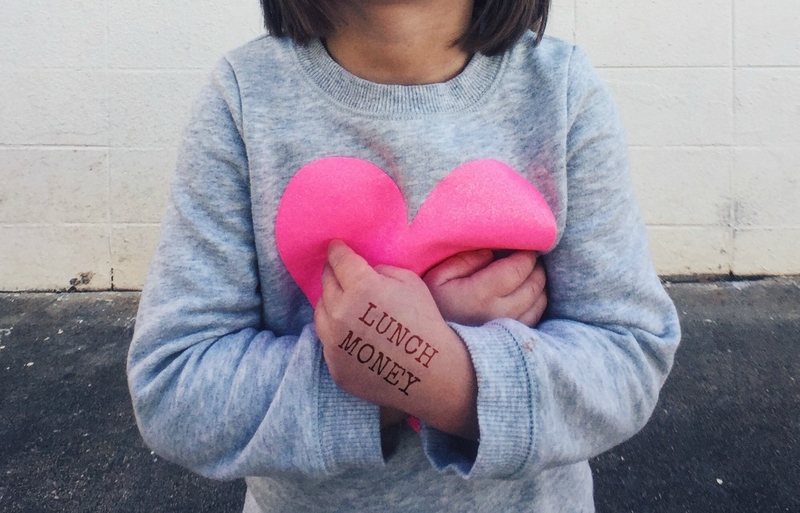 If 70% of a school is on low-or-reduced price lunches, which many are, then 100% of the school gets free lunch. In other schools, if a parent is billed and unable to pay, there is a district form they can fill out that leads to a waiver. Eating shame for school lunch is simply unacceptable. The documented stories of lunches being taken from children and thrown away in Canonsburg, Pennsylvania, when a bill was in arrears, are just impossible to even imagine. The report in the New York Times of children in an Alabama school having “I Need Lunch Money” stamped on their arms are horrific. In the Alabama case, it was obviously a premeditated standardized policy. There must have been a discussion on the policy, a likely debate on the language, and then some school personnel assigned to go order and pickup the stamp after it was made, get the stamp pad, and begin putting it on the arms of children. Nowhere along the line was there a good soul saying enough, no way. New Mexico to its credit passed the first “no school lunch shaming” bill in their state legislature this spring. It matters on two levels. The first is human decency, though that probably makes me seem hopelessly old school in the time of Trump. No one, adult or child, should ever be placed in an uncomfortable public position based on their income or general finances. The battles long won, though still contested, to make sure that food stamp users and free school lunch participants were not stigmatized with special lines, different food, or any humiliationare now decades old, but now have to be fought again it seems to prevent a return of institutionalized inequity, rather than the general societal inequity that seems rampant everywhere today. The other is nutritional. Lunch, a good quality lunch, makes a difference. Studies indicate that students at schools that contract with a healthy school lunch vendor score higher on statewide achievement tests with a 4% improvement in test scores above schools with less healthy meals. Children in school should never be shamed, but the rest of us should surely be ashamed that this happens anywhere in America! Please enjoy Sheryl Crow’s Long Way Back. Thanks to KABF. This entry was posted in Citizen Wealth, Financial Justice and tagged School lunches by Wade. Bookmark the permalink.